Our MMA mats are manufactured with heavy duty vinyl. They are a compressed foam inner and rubber non-slip bottom. Our MMA mats come in a smooth finish which is great for preventing mat burn. We may call these mats MMA mats or mixed martial arts mats but they are not exclusively for mixed martial arts. They are simply called as such as we offer two types of heavy duty vinyl mats, one with a tatami finish and one with out. The different name just helps our customers differentiate between the two. Truth is that these mats are flexible and can be used with any number of activities that require a heavy duty mat that can withstand look of traffic. Activities as diverse as kick boxing, yoga, cross-training and aerobics can use these mats. 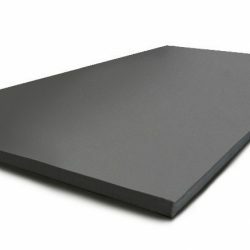 The weight and density of the mat helps provide good protection against impact. Our mats are not Zebra Mats. Zebra Mats is a registered trade mark of Zebra Mats Inc. They may look similar as Zebra Mats and perform comparatively but that is where the similarities end. Our mats are a great low cost solutions for martial arts and MMA schools. If you are looking for a premium mat but don’t want to pay a premium price then look no further. Our mats are 40mm thick which is great for high impact martial arts like BJJ and MMA. They measure 2m x 1m making it easy to deck out a large area. Our mats are available in either black or grey. Other colours are available on special order. Additional costs and lead-times may apply for special order mats. When looking for a quality MMA mat then look no further then Direct Mats. Direct Mats supply training mats to customer through out Australia. We supply mats to both professional gyms and individual looking for a great mat for their personal training area. We can arrange to delivery your mats to any location in Australia. We can even ship mats to New Zealand and beyond. If you want to pick up mats we have a depot located in Sydney and Melbourne. Pick up is strictly by appointment only and can be arrange during working hours. Also please verify stock levels are these mats are in high demand. Contact us for details. While all training mats are designed to offer protection from vigorous exercise and falls there is no substitute for common sense. When planning a training regime it is important to take safety in account and plan accordingly. Whilst safety mats like these and our EVA mats may reduce impact during falls they will not totally extinguish the risk of injury. Take care not to fall on your head, neck or in any other precarious position which may cause you injury. Also consider using wall mats or wall padding to further reduce hazards in your training area. MMA stand for mixed martial art. MMA is usually a combination of a number of fighting arts design to offer a more balanced approach to self-defence and fighting. MMA is usually a combination of standing and grappling arts. These can be anything from kick-boxing, boxing, karate, tae kwon do and kung-fu for the standing component. The grappling component can consist of BJJ, wrestling, judo or any other grappling martial arts. When combined together they are mixed martial arts. In mixed martial arts the practitioner will usually pick a base martial art in which they have their key competencies. So for example when you look at the stats for UFC fighters they will often list their main art. For example for Lyoto Machida it is karate, Rashad Evans is boxing, or Anderson Silva with Brazilian Jiujitsu. However whatever there base they always have a combination of grappling and standup. Mirko Filipović was a renown champion in F1 and other kickboxing events but when he moved to MMA and UFC he had to add grappling to his skill set. Even if it was just enough to be able to deal with take downs and basic grappling defence. Mixed martial arts has in effect been around for a long time. Ancient civilisations practiced fighting systems which combines all facets of fighting to ensure their citizens and troops were ready for real life combat. In more recent times martial arts became more fragmented embracing either grappling or standing techniques. Martial arts became more traditional incorporating a more ceremonial aspect to them. The combination of martial arts became more popular when people like kung-fu legend Bruce Lee decided to modernise their approach to martial arts and combine the best elements of each. With the arrival of the UFC and other similar MMA organisations the transition to less traditional martial arts has continued. This has resulted in better availability of the martial arts mats needed for such training. As such more sturdy vinyl training mats have become available like our MMA mats. These days their are a number of modern training gym appearing which embrace all the equipment that modern science has made available to them. MMA mats are just one of them. If you are planning on decking out your training area we are more then happy to assist. Our staff have extensive experience supplying mats to all sorts of organisations. We can also assist in supplying customised mats whether they be custom colour or size.